Turkish photographer George Tatge (born 1951) studied English Literature at Beloit College, Wisconsin, taking photographs in his spare time. Tatge moved to Italy in 1973 and began working as a freelance photographer and writer. He served as Director of Photography at the Alinari Archives between 1986 and 2003. Tatge was awarded the Premio Friuli Venezia Giulia Photography Prize in 2010. 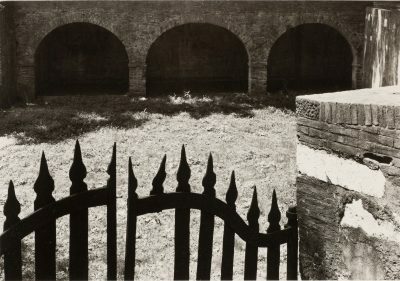 His photographic work is represented in significant public collections, including the Metropolitan Museum of Art, New York; Maison Européenne de la Photographie, Paris, and the Centre Canadien d’Architecture, Montreal.